With a new Chekhov adaptation in the Goodman's Latino Theatre Festival and a pair of commissions from Steppenwolf, Tanya Saracho is poised to break out. This revelation comes about five minutes into my first on-the-record conversation with Saracho. I have yet to ask a question. “Glutton things, those are things that are dangerous for me,” she continues, sentences piling on top of one another, rat-a-tat. “My grandma and my aunt died of diabetes; I’m borderline diabetic.” The day after she tells me this, she informs me and her 1,782 other Facebook friends that she has in fact developed diabetes; the status update is accompanied by a phone-cam pic of the doctor’s letter containing the diagnosis. This eagerness to share (or overshare) can get Saracho into trouble; she says she made her Twitter feed private last year after telling the world she was off to Milwaukee for the day and returning home to find her apartment had been robbed. But it’s also representative of the honesty that imbues the Sinaloa, Mexico, native’s work as a playwright in pieces such as Kita y Fernanda, about the class-hampered friendship between a daughter of a wealthy border family and the daughter of her family’s maid; or Our Lady of the Underpass, an interview-based character study of those who saw the Virgin Mary in a Fullerton Avenue salt stain in 2004. It seems as if Saracho can’t stop the story-oozing; in conversation, in her free-flowing blend of English and Spanish (the ratio determined by present company), she’ll say something revealing and then get flustered—her eyes widen and her hands come to her face, as if she knows she shouldn’t have said it but just couldn’t help herself. 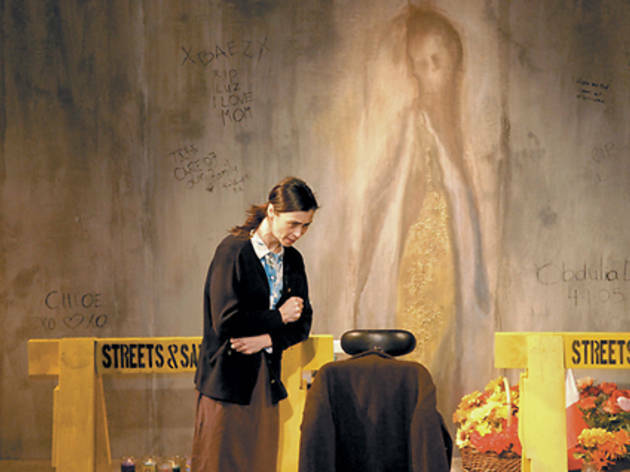 This same openness marks Saracho’s writing, which has developed a small but devoted following in productions with Luna, Teatro Vista and Berwyn’s 16th Street Theater, and has had us long convinced that we’d see her break wide at any moment. With a high-profile appearance at this week’s national conference of the theater trade organization Theatre Communications Group; the announcement last week that the Goodman was adding El Nogalar, her production inspired by Chekhov’s The Cherry Orchard, to its upcoming season; and new plays in the works for About Face and Steppenwolf, I think el momento está aquí. Saracho’s family moved from Mexico to the border town of McAllen, Texas, when she was a teen. She likes to say—as she did earlier this year on an MCA panel with fellow playwrights of color Kristoffer Diaz, Young Jean Lee and Tarell Alvin McCraney—that she got into theater partly to lose her accent. 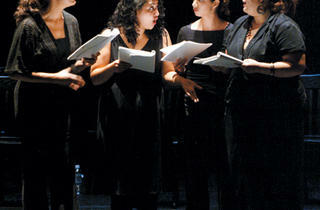 At BU, Saracho had dabbled in writing, directing and performing. “Even then, the word hyphenate was to me, like, the proudest thing,” she says. “I am equally a writer and an actor and a director. Nobody’s ever really liked my directing but me. I think it’s fly.” That background, her nascent politicization and her tendency to get called in only for what she calls “the Maria role” all came together when she met Paz at a Chicago audition in 2000, and Saracho soon proposed starting their own company. 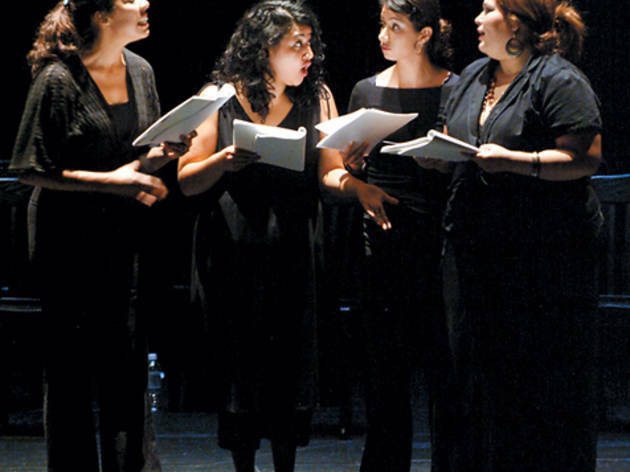 Luna became known for ensemble-devised, often monologue-based work that reflected its members’ young, urban Latina outlook, with writing that was often guided by Saracho. “Her voice became our voice,” says TL managing director Alex Meda. 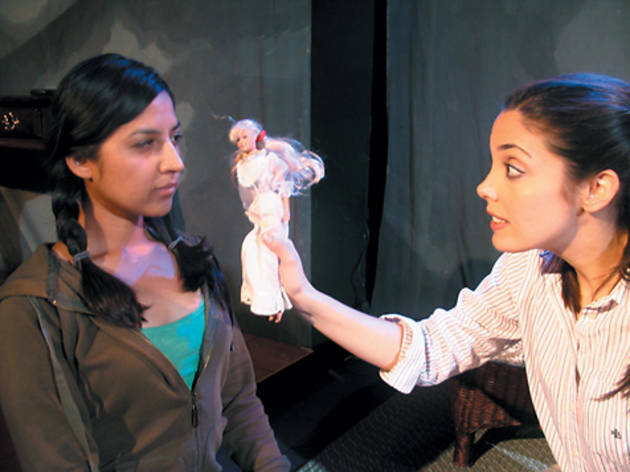 Pieces such as Generic Latina, Machos and Lunatic(a)s garnered Teatro Luna loyal fans, many of them Latinas and other minorities who appreciated seeing their experiences reflected onstage. To encourage her writing, Godinez suggested her for the Goodman’s Ofner Prize, which supports new work. “Henry is a thread in my quilt of Chicago. So many things wouldn’t have happened if it hadn’t been for him,” Saracho says. 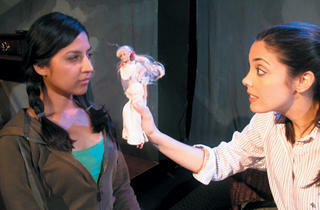 The 2005 Ofner brought her to the attention of Ed Sobel, then Steppenwolf’s literary manager; further playwriting connections and commissions blossomed from there, and Saracho had her “S-word” debut last fall with a young-adults adaptation of Sandra Cisneros’s The House on Mango Street. Adapting Cisneros’s Chicago-set novel, she says, “was for me, in a geeky, kumbaya way, really important, because those people in the audience? They’ve been waiting for House on Mango Street since they read it. It was their Catcher in the Rye. Writing has yet to pay the bills, so Saracho continues to perform. 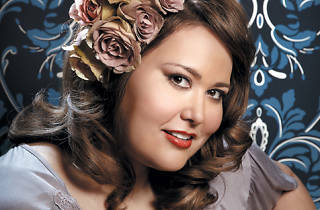 She recently spent a few days in L.A. filming a walk-on role for HBO’s Hung (“My character was called ‘Fat Woman.’ Not even ‘Fat Girl’—that would have been cuter”), but her lucrative local income comes from voiceovers for radio and TV. I accompany her to a recording studio in River North, where she’s booked a radio spot for a major retailer. In the booth, she reads the Spanish ad copy three or four times with minimal direction from the engineers, while an ad exec listens in via speakerphone. The whole gig takes about a half hour. “That’ll pay more than most play commissions,” she says. Saracho says she books a lot of Spanish-language voiceovers because she has a native Mexican accent, which is subtly but appreciably different from a first-generation American-born speaker. Not surprisingly, given the debate over Arizona’s controversial new law, immigration comes up frequently in our conversations. The playwright says friends keep asking her to write something about the immigration situation, but between the U.S. rhetoric and the ongoing dangers back home—type Sinaloa into a Google search box and the suggested autocomplete is cartel—she says she doesn’t have enough distance at the moment. She has what she describes as an “M.F.A. complex” about not having a master’s degree, and has never submitted her work for consideration outside of her Chicago network. “The culture of being a playwright, I never picked up because I was running a company,” she says. She recently hooked up with an informal group of Chicago “lady playwrights” that includes Marisa Wegrzyn, Laura Jacqmin, Emily Schwartz and others, and says she’s learning the ropes from them. “I felt she was living a really schizophrenic existence,” Godinez says. “I don’t mean that in a negative way, just in terms of a sort of tug-of-war between being the co-artistic director and sort of visionary behind Teatro Luna—the driving force, or cohesive force—and a writer. Saracho stepped down some months later to focus on expanding her own writing; she’s now working on a pair of commissions for the Steppenwolf ensemble and a piece for About Face Theatre inspired by the true-life case of Albert Cashier, born Jennie Hodgers, who fought for the Union in the Civil War and lived out the rest of her life in Illinois as a man.